Individualize dosage; increase dosage gradually to avoid adverse effects. Drug is available only in oral forms. Anxiety: Usual dose is 30 mg/day PO in divided doses tid; adjust gradually within the range of 15–60 mg/day; also may be given as a single daily dose hs with a maximum starting dose of 15 mg. For maintenance, give the 22.5-mg PO tablet in a single daily dose as an alternate form for patients stabilized on 7.5 mg PO tid; do not use to initiate therapy; the 11.25-mg tablet may be given as a single daily dose. Adjunct to antiepileptic medication: Maximum initial dose is 7.5 mg PO tid. Increase dosage by no more than 7.5 mg every wk, do not exceed 90 mg/day. Acute alcohol withdrawal: Day 1: 30 mg PO initially, then 30–60 mg in divided doses. Day 2: 45–90 mg PO in divided doses. Day 3: 22.5–45 mg PO in divided doses. Day 4: 15–30 mg PO in divided doses. Thereafter, gradually reduce dose to 7.5–15 mg/day PO, and stop as soon as condition is stable. · 12 yr: Use adult dosage. · 9–12 yr: Maximum initial dose is 7.5 mg PO bid; increase dosage by no more than 7.5 mg every wk, and do not exceed 60 mg/day. · < 9 yr: Not recommended. Anxiety: Initially, 7.5–15 mg/day PO in divided doses. Adjust as needed and tolerated. Exact mechanisms not understood; benzodiazepines potentiate the effects of GABA, an inhibitory neurotransmitter; anxiolytic effects occur at doses well below those necessary to cause sedation, ataxia. Drowsiness, muscular hypotonia, anterograde amnesia, tremor, GI upsets. Contraindicated with hypersensitivity to benzodiazepines; psychoses; acute narrow-angle glaucoma; shock; coma; acute alcoholic intoxication with depression of vital signs; pregnancy (risk of congenital malformations, neonatal withdrawal syndrome); labor and delivery (“floppy infant” syndrome); lactation (infants tend to become lethargic and lose weight). Use cautiously with impaired liver or renal function, debilitation; elderly patients. CLINICAL ALERT! Name confusion has occurred between clorazepate and clofibrate; use caution. WARNING: Taper dosage gradually after long-term therapy, especially in epileptics. Arrange for patients with epilepsy to wear medical alert identification, indicating disease and medication usage. 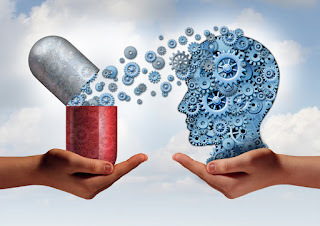 · Take drug exactly as prescribed; do not stop taking drug (long-term therapy) without consulting your health care provider. · Avoid alcohol, sleep-inducing, or over-the-counter drugs. · Avoid pregnancy while taking this drug; using barrier contraceptives is advised. If you become pregnant, do not stop the drug; contact your health care provider. · You may experience these side effects: Drowsiness, dizziness (may be transient; avoid driving a car or engaging in other dangerous activities); GI upset (take with food); fatigue; depression; dreams; crying; nervousness; depression, emotional changes; bed-wetting, urinary incontinence. · Report severe dizziness, weakness, drowsiness that persists, rash or skin lesions, difficulty voiding, palpitations, swelling in the extremities. Examples: Recite a policy. Quote prices from memory to a customer. Know the safety rules. Define a term. Examples: Rewrites the principles of test writing. Explain in one's own words the steps for performing a complex task. Translates an equation into a computer spreadsheet. Application: Use a concept in a new situation or unprompted use of an abstraction. Applies what was learned in the classroom into novel situations in the work place. 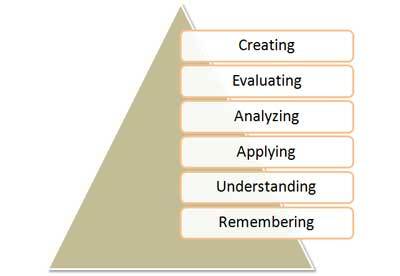 The affective domain is one of three domains in Bloom's Taxonomy, with the other two being the cognitive and psychomotor (Bloom, et al., 1956). Receiving Phenomena: Awareness, willingness to hear, selected attention. Examples: Listen to others with respect. Listen for and remember the name of newly introduced people. 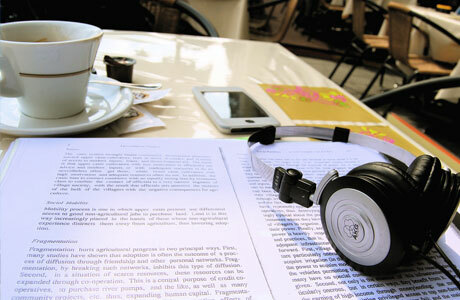 Responds to Phenomena: Active participation on the part of the learners. Attend and react to a particular phenomenon. Learning outcomes may emphasize compliance in responding, willingness to respond, or satisfaction in responding (motivation). Examples: Participates in class discussions. Gives a presentation. Questions new ideals, concepts, models, etc. in order to fully understand them. Know the safety rules and practice them. Valuing: The worth or value a person attaches to a particular object, phenomenon, or behavior. This ranges from simple acceptance to the more complex state of commitment. Valuing is based on the internalization of a set of specified values, while clues to these values are expressed in the learner's overt behavior and are often identifiable. Examples: Demonstrates belief in the democratic process. Is sensitive towards individual and cultural differences (value diversity). Shows the ability to solve problems. Proposes a plan to social improvement and follows through with commitment. Informs management on matters that one feels strongly about. Organization: Organizes values into priorities by contrasting different values, resolving conflicts between them, and creating an unique value system. 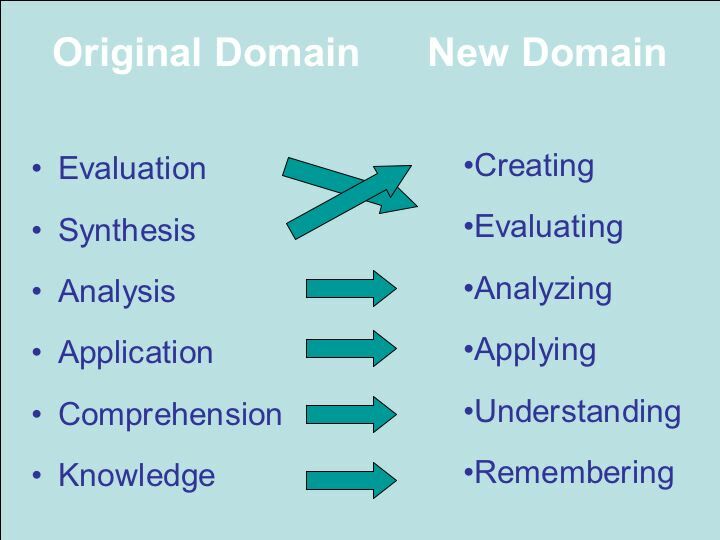 The emphasis is on comparing, relating, and synthesizing values. Examples: Recognizes the need for balance between freedom and responsible behavior. Explains the role of systematic planning in solving problems. Accepts professional ethical standards. Creates a life plan in harmony with abilities, interests, and beliefs. Prioritizes time effectively to meet the needs of the organization, family, and self. 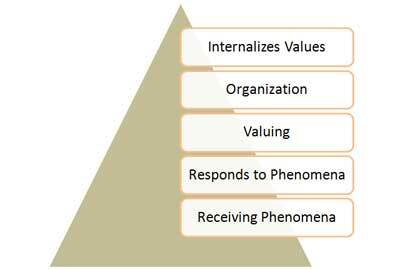 Internalizes Values(characterization): Has a value system that controls their behavior. The behavior is pervasive, consistent, predictable, and most important characteristic of the learner. Instructional objectives are concerned with the student's general patterns of adjustment (personal, social, emotional). Examples: Shows self-reliance when working independently. Cooperates in group activities (displays teamwork). Uses an objective approach in problem solving. Displays a professional commitment to ethical practice on a daily basis. Revises judgments and changes behavior in light of new evidence. Values people for what they are, not how they look. The psychomotor domain (Simpson, 1972) includes physical movement, coordination, and use of the motor-skill areas. Development of these skills requires practice and is measured in terms of speed, precision, distance, procedures, or techniques in execution. Thus, psychomotor skills rage from manual tasks, such as digging a ditch or washing a car, to more complex tasks, such as operating a complex piece of machinery or dancing. Perception (awareness): The ability to use sensory cues to guide motor activity. This ranges from sensory stimulation, through cue selection, to translation. Examples: Detects non-verbal communication cues. Estimate where a ball will land after it is thrown and then moving to the correct location to catch the ball. Adjusts heat of stove to correct temperature by smell and taste of food. Adjusts the height of the forks on a forklift by comparing where the forks are in relation to the pallet. Key Words: chooses, describes, detects, differentiates, distinguishes, identifies, isolates, relates, selects. Set: Readiness to act. It includes mental, physical, and emotional sets. These three sets are dispositions that predetermine a person's response to different situations (sometimes called mindsets). Examples: Knows and acts upon a sequence of steps in a manufacturing process. Recognize one's abilities and limitations. Shows desire to learn a new process (motivation). NOTE: This subdivision of Psychomotor is closely related with the “Responding to phenomena” subdivision of the Affective domain. Key Words: begins, displays, explains, moves, proceeds, reacts, shows, states, volunteers. Guided Response: The early stages in learning a complex skill that includes imitation and trial and error. Adequacy of performance is achieved by practicing. Examples: Performs a mathematical equation as demonstrated. Follows instructions to build a model. Responds hand-signals of instructor while learning to operate a forklift. Mechanism (basic proficiency): This is the intermediate stage in learning a complex skill. Learned responses have become habitual and the movements can be performed with some confidence and proficiency. Examples: Use a personal computer. Repair a leaking faucet. Drive a car. Key Words: assembles, calibrates, constructs, dismantles, displays, fastens, fixes, grinds, heats, manipulates, measures, mends, mixes, organizes, sketches. Complex Overt Response (Expert): The skillful performance of motor acts that involve complex movement patterns. Proficiency is indicated by a quick, accurate, and highly coordinated performance, requiring a minimum of energy. This category includes performing without hesitation, and automatic performance. For example, players are often utter sounds of satisfaction or expletives as soon as they hit a tennis ball or throw a football, because they can tell by the feel of the act what the result will produce. Examples: Maneuvers a car into a tight parallel parking spot. Operates a computer quickly and accurately. Displays competence while playing the piano. Key Words: assembles, builds, calibrates, constructs, dismantles, displays, fastens, fixes, grinds, heats, manipulates, measures, mends, mixes, organizes, sketches. NOTE: The Key Words are the same as Mechanism, but will have adverbs or adjectives that indicate that the performance is quicker, better, more accurate, etc. 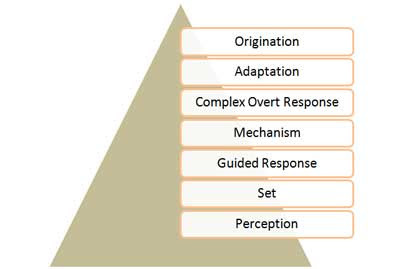 Adaptation: Skills are well developed and the individual can modify movement patterns to fit special requirements. Examples: Responds effectively to unexpected experiences. Modifies instruction to meet the needs of the learners. Perform a task with a machine that it was not originally intended to do (machine is not damaged and there is no danger in performing the new task). Key Words: adapts, alters, changes, rearranges, reorganizes, revises, varies. 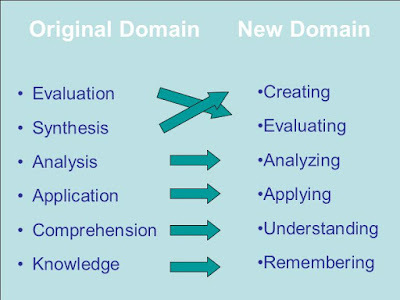 Origination: Creating new movement patterns to fit a particular situation or specific problem. 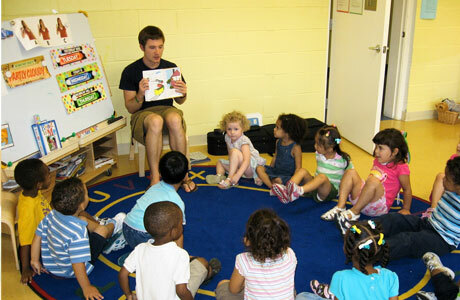 Learning outcomes emphasize creativity based upon highly developed skills. Examples: Constructs a new theory. Develops a new and comprehensive training programming. Creates a new gymnastic routine. Key Words: arranges, builds, combines, composes, constructs, creates, designs, initiate, makes, originates. Imitation — Observing and patterning behavior after someone else. Performance may be of low quality. Examples: Copying a work of art. Performing a skill while observing a demonstrator. Manipulation — Being able to perform certain actions by memory or following instructions. Examples: Being able to perform a skill on one's own after taking lessons or reading about it. Follows instructions to build a model. Examples: Working and reworking something, so it will be “just right.” Perform a skill or task without assistance. Demonstrate a task to a beginner. Articulation — Coordinating and adapting a series of actions to achieve harmony and internal consistency. Examples: Combining a series of skills to produce a video that involves music, drama, color, sound, etc. Combining a series of skills or activities to meet a novel requirement. Naturalization — Mastering a high level performance until it become second-nature or natural, without needing to think much about it. Examples: Maneuvers a car into a tight parallel parking spot. Operates a computer quickly and accurately. Displays competence while playing the piano. Michael Jordan playing basketball or Nancy Lopez hitting a golf ball. Fundamental Movements — Basic movements such as walking, or grasping. Perceptual Abilities — Response to stimuli such as visual, auditory, kinesthetic, or tactile discrimination. Physical Abilities (fitness) — Stamina that must be developed for further development such as strength and agility. Skilled movements — Advanced learned movements as one would find in sports or acting. Examples: Using an advanced series of integrated movements, perform a role in a stage play or play in a set of series in a sports game. 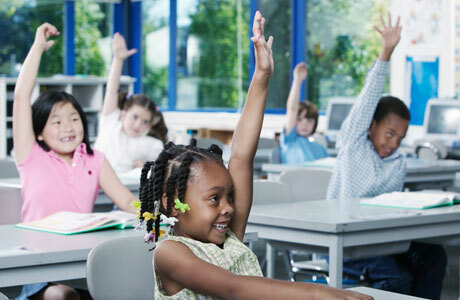 Nondiscursive communication— Use effective body language, such as gestures and facial expressions.